Beautiful, isn't it? 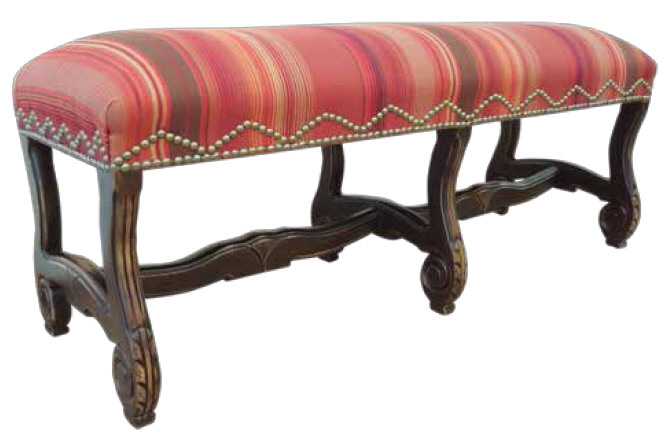 What a stunning way of adding extra seating to your living room, office or entry way in Mexico. Taking a seat to put on your shoes was never lovelier! Hand hammered nail heads, fine sturdy paisley or red stripe (upcharge) fabrics. Hand crafted in solid kiln-dried pine wood and polished to a wonderful dark finish. 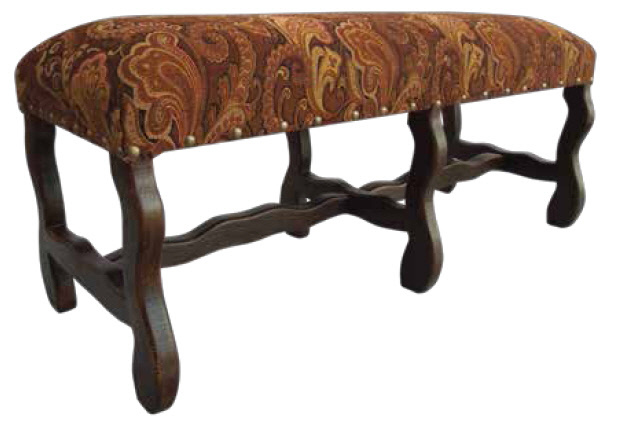 Available in glorious red stripe or muted earth tone paisley.